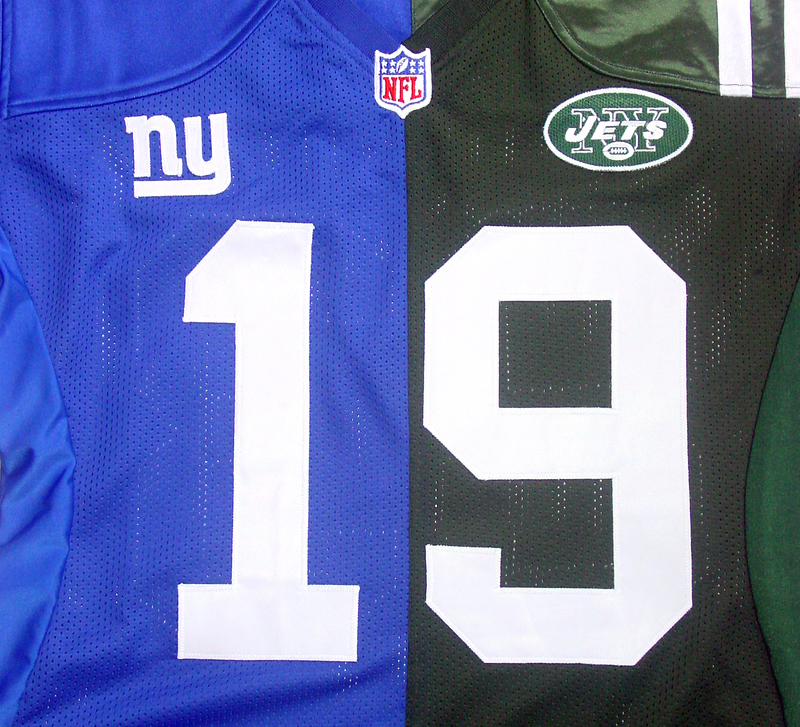 Split Football Jerseys Choice Team Name Number Size Style . You select the teams, names, number, style and size and we will provide the custom split jersey that no one else can. Let your imagination run wild, combine college and NFL teams, or any combination you like. 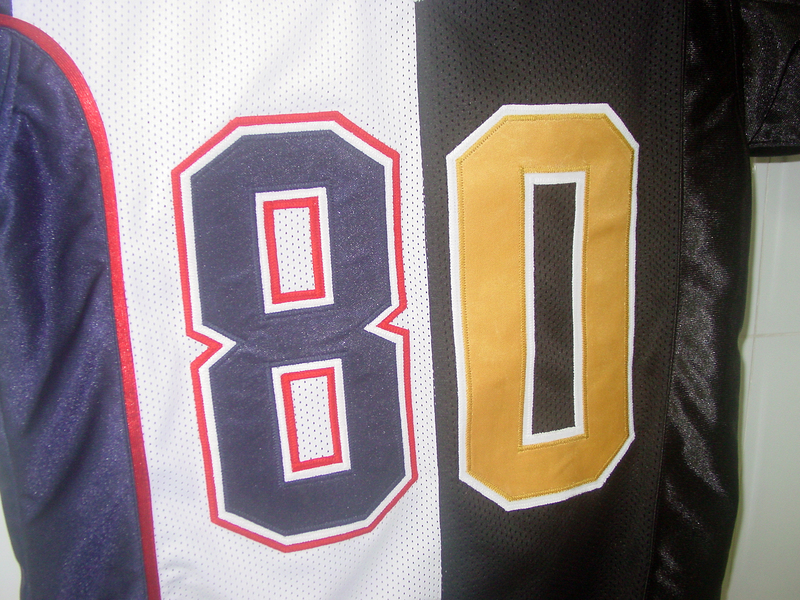 Also can do custom split Hockey, Basketball and Baseball Jerseys. 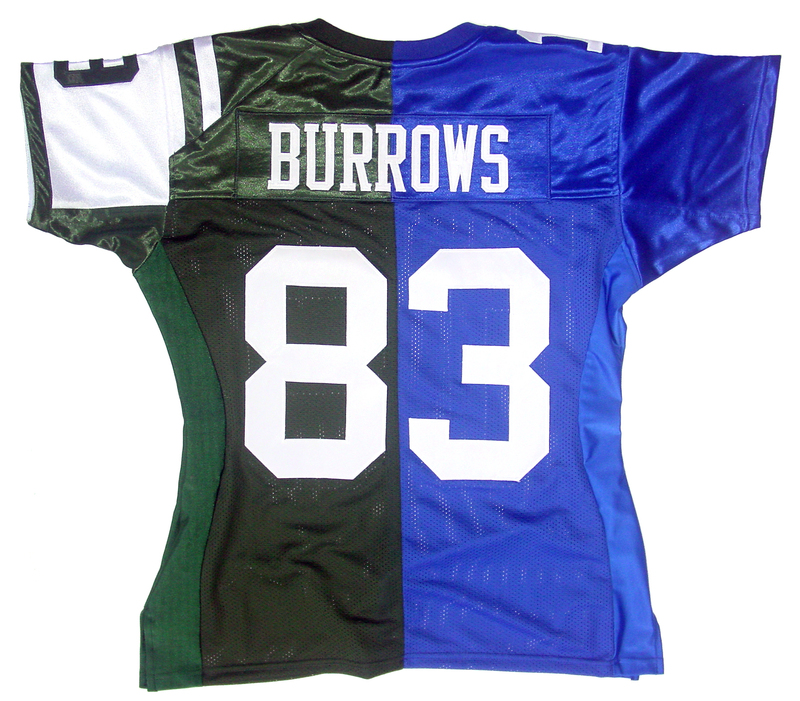 Split Football Jerseys Choice Team Name Number Size Style combine player’s two teams or two favorite teams. The split can be done as a side to side split or a front to back split. These jerseys are done for many reasons and each one is unique and custom made to your order. 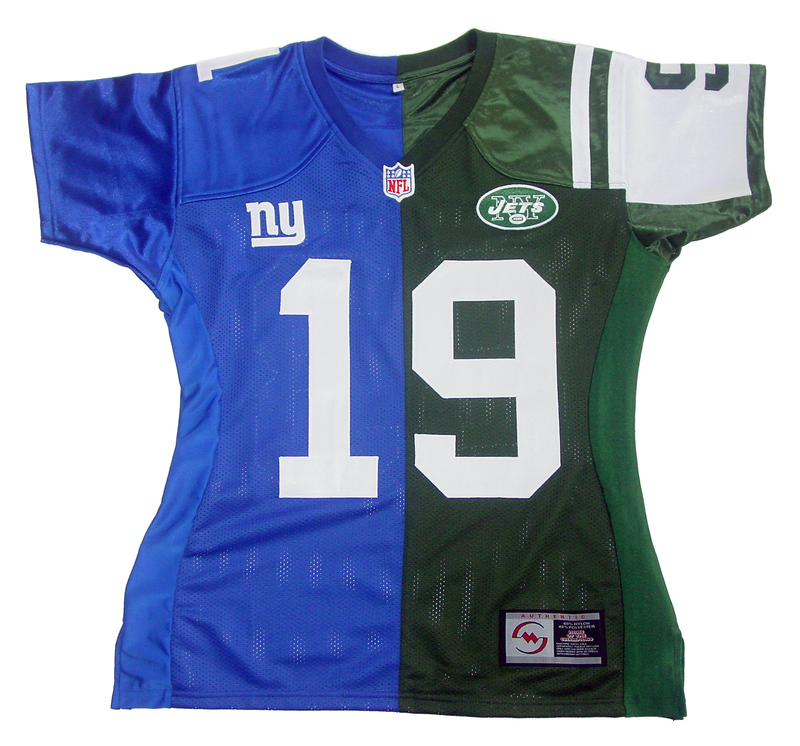 Show your support for your favorite teams and have a great jersey that will last a lifetime. Whatever you can think of, we can do. Please email us for details mysizejersy@gmail.com . 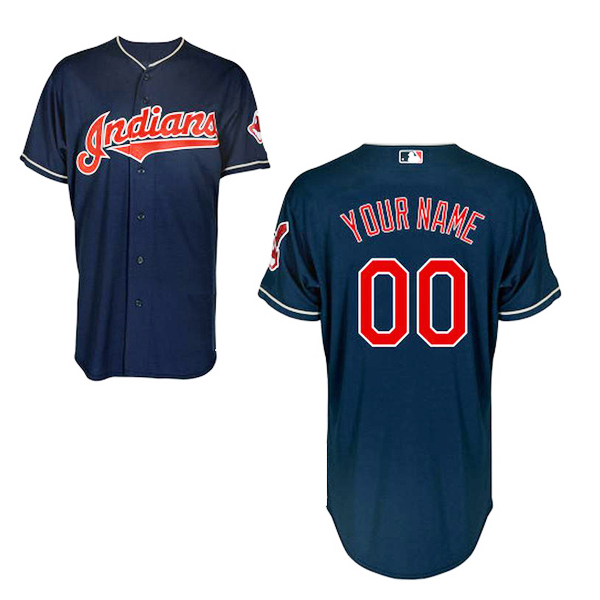 Thousands of custom made jerseys available on our website. Want more information about our company? Please see our Facebook link below or the split jersey link before. We are a full time online company with over 15 years of selling Worldwide. 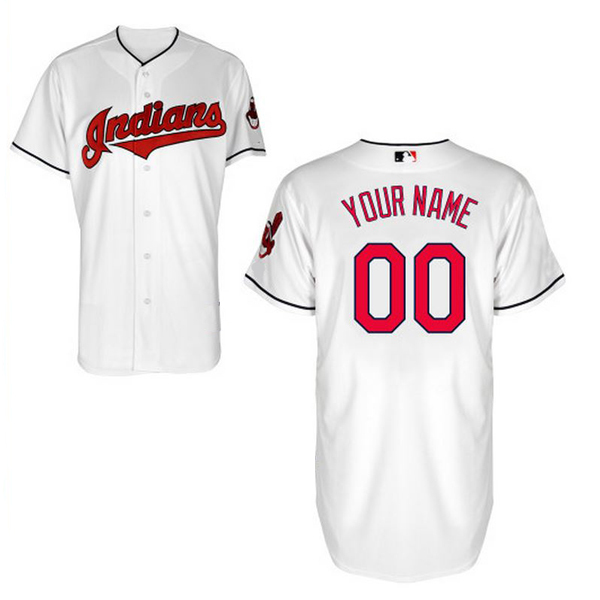 Here is the instructions for how to order a split jersey. 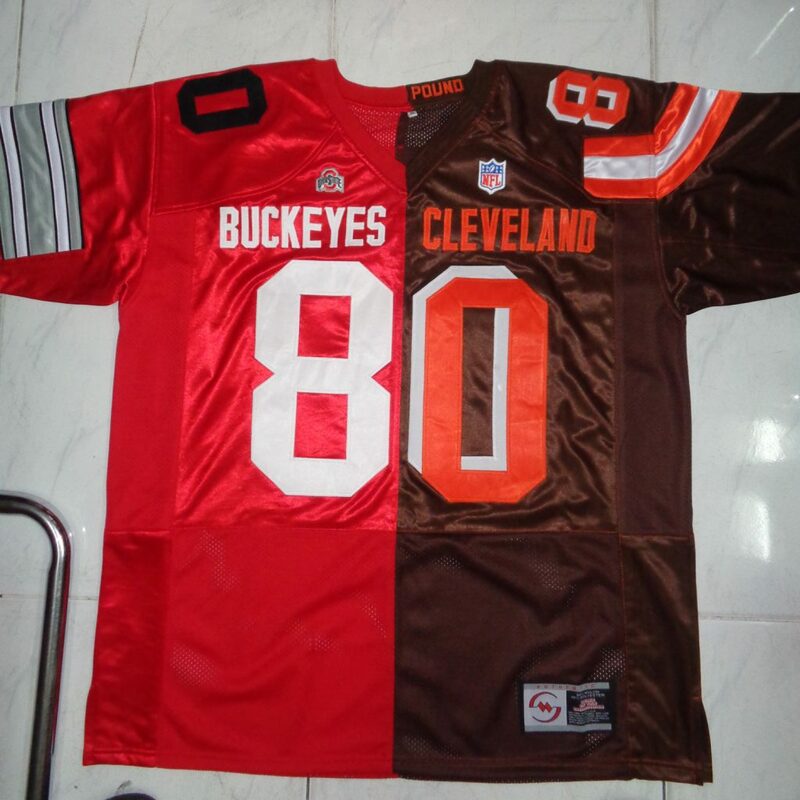 Go to Mysizejersey.com and look at our jerseys offered. 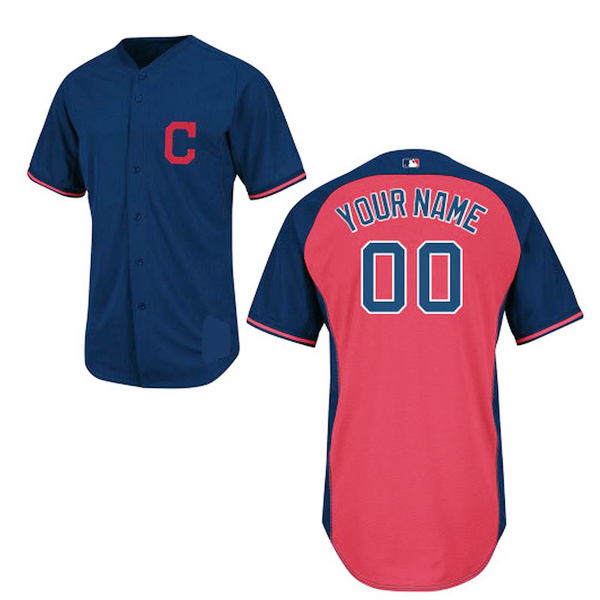 Select the first jersey (Right Shoulder/Sleeve) ( place the order with correct size and shipping option, name and number. Select the second jersey (Left Shoulder/Sleeve) (and place the order with correct size and shipping option, name and number. When done go to checkout, within the checkout process for the order is a notes to seller. 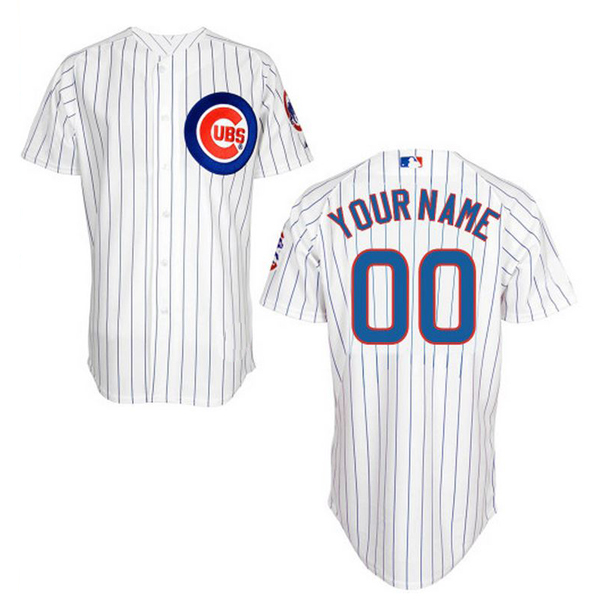 Enter the request for a split jersey. Complete check out and pay for your order. Will review and place jerseys into production. Jersey will be cut and the two sides jointed together. What is on the half of the jersey will be on your finished jersey. Any logos, names and numbers that are along the center line will also be split. Clients will pay the normal jersey fee and shipping charge for each jersey. No added surcharges for the split jersey fee. 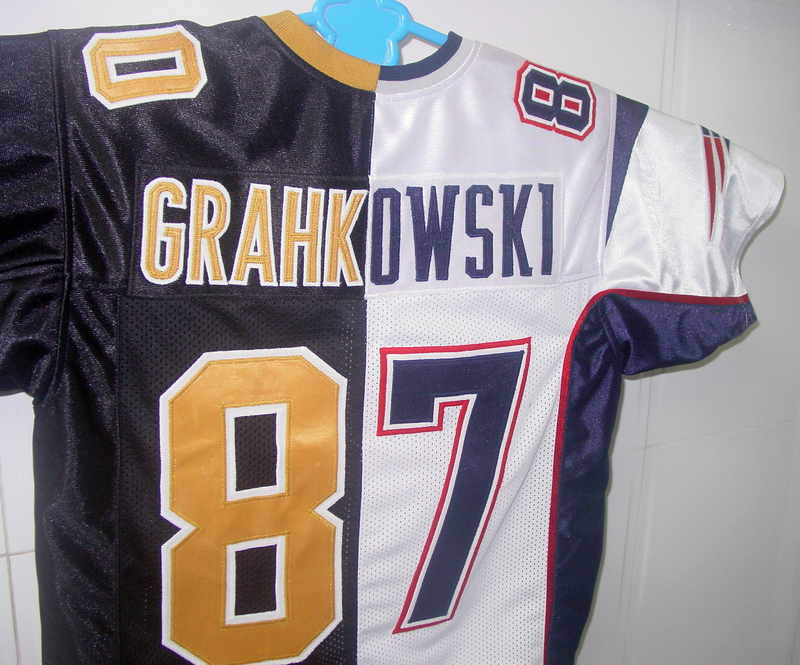 It takes two regular jerseys to produce one split jersey. You will be shipped one completed finished split jersey. 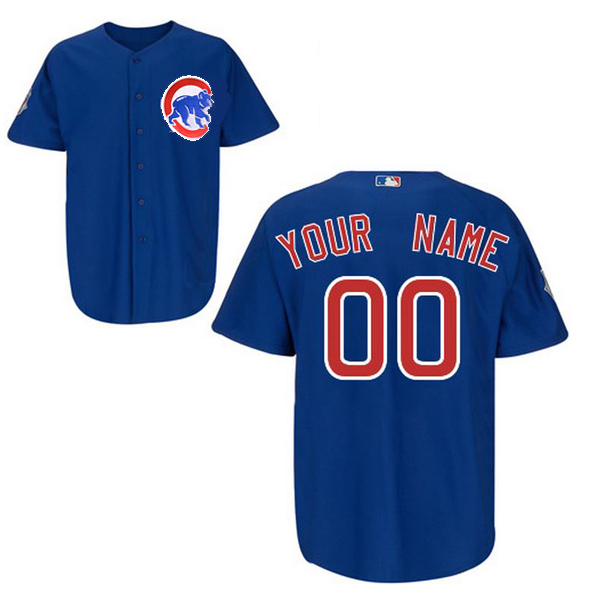 Your order will be processed and a email message will be sent to you confirming the information and the jersey that you want. 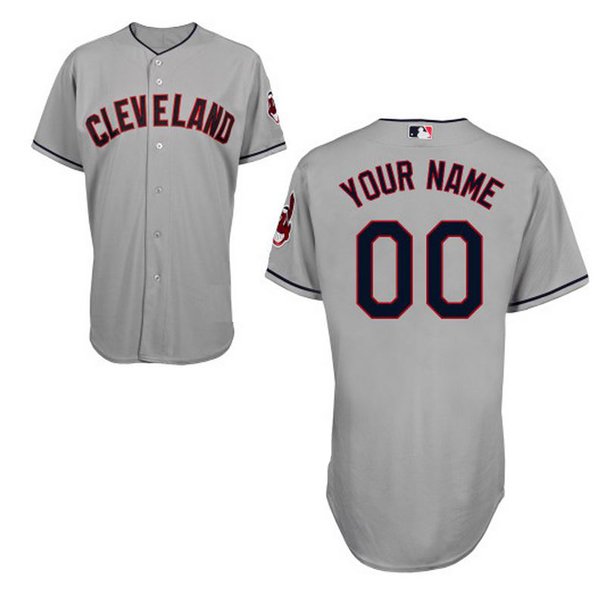 The jersey will then be produced 10 to 14 days, once completed it will be shipped to you. Another email will be sent with your shipping information. 2016 World Series: Chicago Cubs vs.Cleveland Indians. The battle of teams with long-standing world-championship droughts. Together a combined 176 years without a World Series championship. The two longest title droughts in baseball. 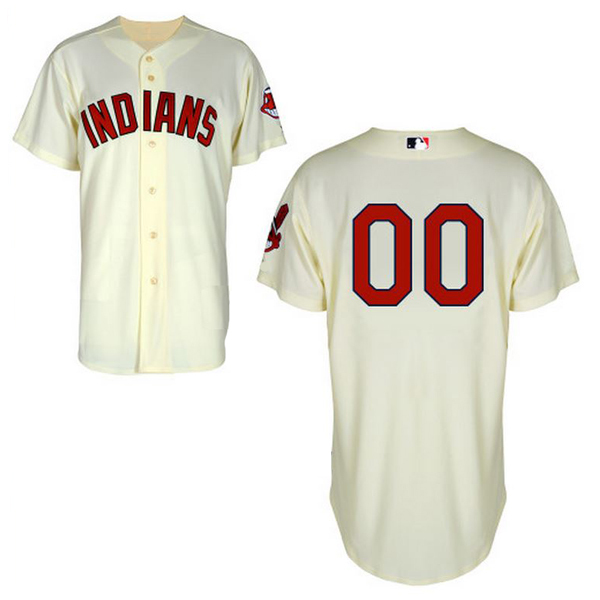 The Cleveland Indians won the Fall Classic in 1948 and the Chicago Cubs last won in 1908. Whatever happens in this 2016 World Series, history will be made. Whether you blame The Curse of the Billy Goat or the Curse of Chief Wahoo, Steve Bartman or Rocky Colavito, take your choice. Two things are for sure here for one team this world-championship drought will end. Along with what should be the World Series TV ratings ever. Tickets are costly with Cleveland’s first two games going $4000 plus and the Cubs The average asking price of a World Series ticket for the first two games in Cleveland is already almost $4,000. The price to see the Indians play the Cubs at Wrigley Field in Chicago $7000 plus for many seats. The 2016 World Series, featuring the Cleveland Indians vs. the Chicago Cubs, with thousands are willing to pay the price to see their teams duke it out beginning October 25th. The Indians swept the Red Sox 4-0, crushed the Toronto Blue Jays 4-1, and in the Championship Series (ALCS) and have had since last Wednesday to plan for the final seven games. The Cubs, are coming off of only a few days rest. The Cubs are the clear favorites to win the World Series. Showing strong performances from their bullpen and beyond. 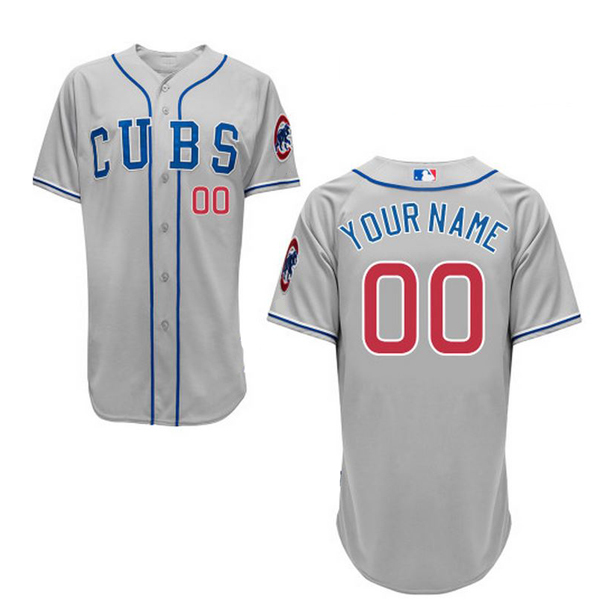 2016 World Series: Chicago Cubs vs. Cleveland Indians Jerseys are available with any name and number and in your custom size. 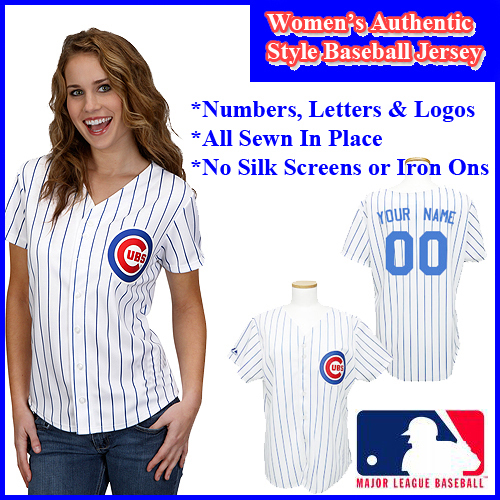 My Size Jersey is your complete jersey shopping site. We stock all sizes Infant to Youth, Youth to 2x, Mens to 10X, Ladies to 10X. Big sizes are no problem with us. 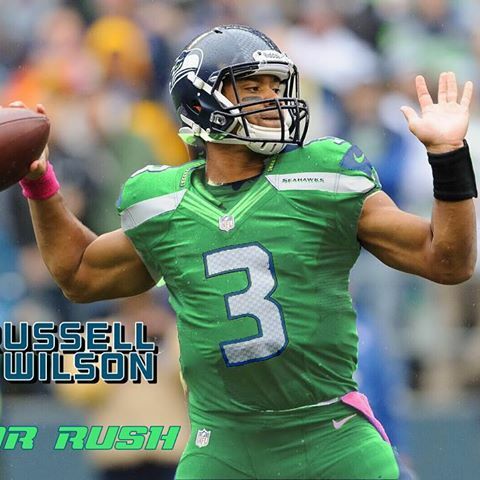 Seattle Seahawks Rush Green Jerseys For 2016 Green is back for the Seahawks in 2016.The NFL has rolled out this year’s Color Rush uniforms for all 32 teams. Last year, only eight teams wore Color Rush uniforms on Thursday Night Football, and sometimes the results were disastrous, particularly for those who suffer from any degree of color blindness. It seems like the NFL put more thought into the effects on our eyes this year. 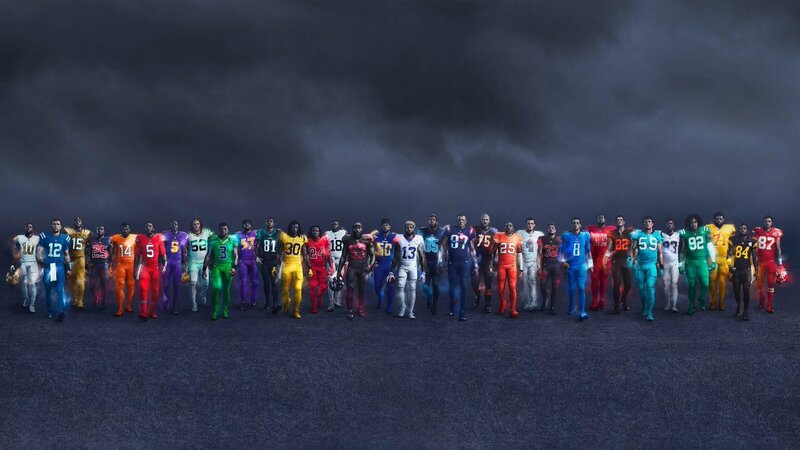 All 32 teams have a Color Rush uniform, but six teams have no plans to wear them this year. There were a few color scheme conflicts, and in those cases, the away team will just wear the normal away uniform while the home team dons the Color Rush uniform. Those teams include the Texans, Falcons, Browns and Jets. The uniforms will also not be worn for the Thanksgiving games. Four of the teams playing on Thanksgiving have other Thursday games, but the Colts and Washington will be excluded. 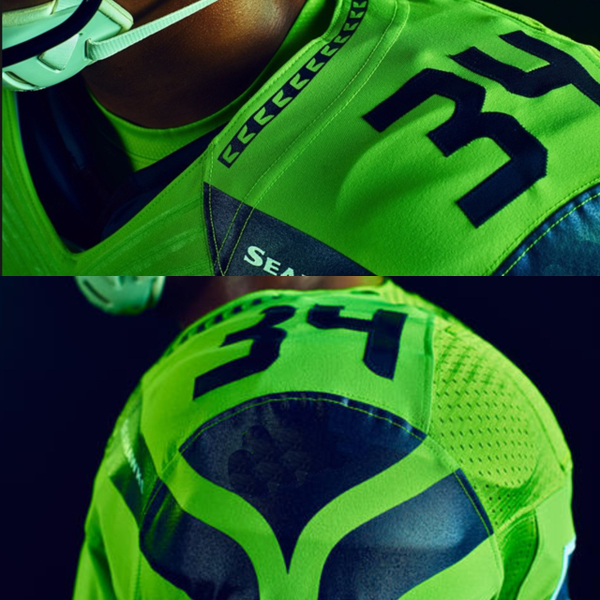 Seattle Seahawks Rush Green Jerseys For 2016 is a comeback to a old color for them. These jerseys are something the fans have long wanted to see return. 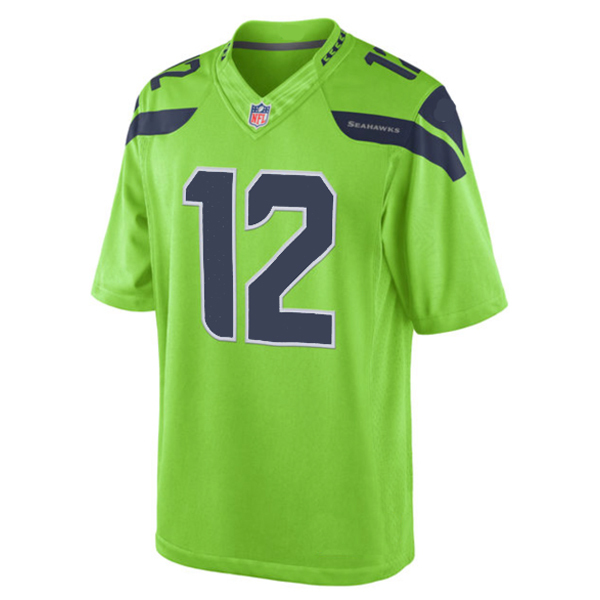 The alternate jersey for Seattle was lime green until changed in 2012 to gray. Many are happy to see the return of the green. 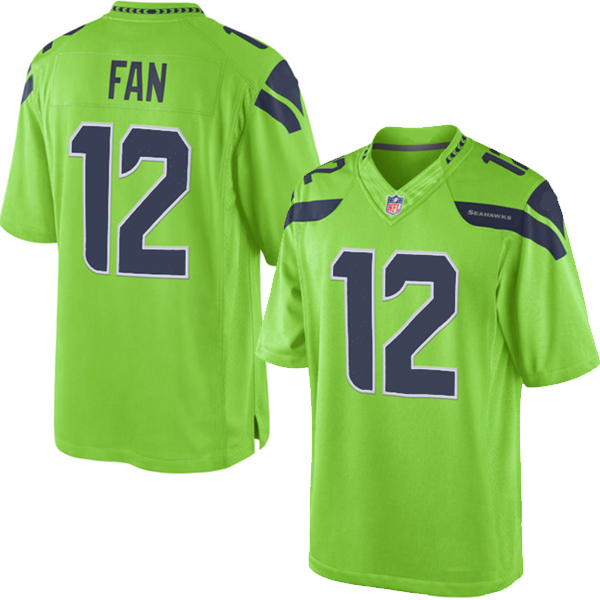 Seattle Seahawks Rush Green Jerseys are available with any name and number and in your custom size. 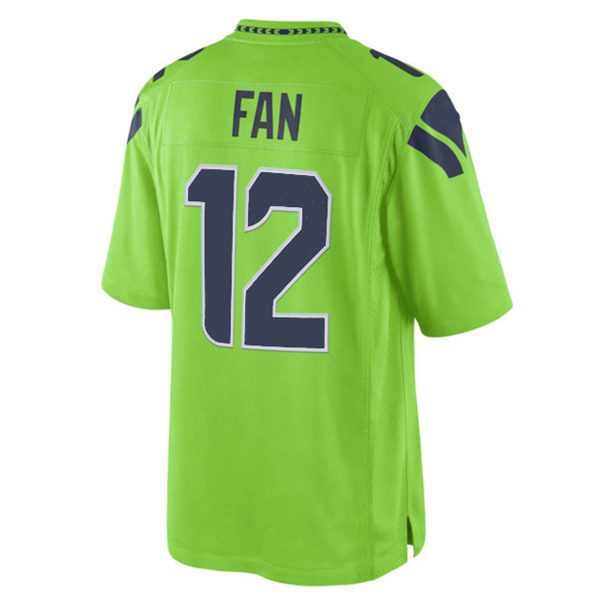 My Size Jersey is your complete jersey shopping site. We stock all sizes Infant to Youth, Youth to 2x, Mens to 10X, Ladies to 10X. Big sizes are no problem with us. 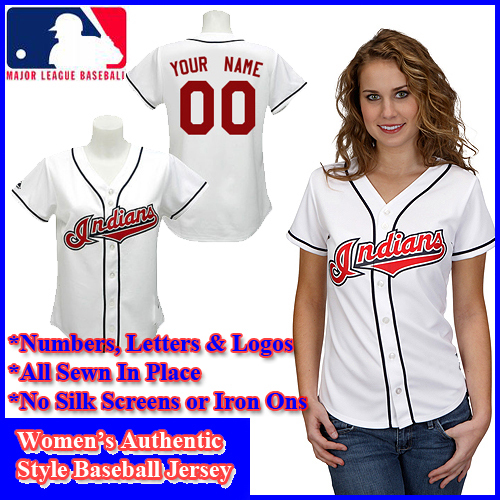 My size jersey offers the best selection of custom and team jersey to clients in any size, name, and number. 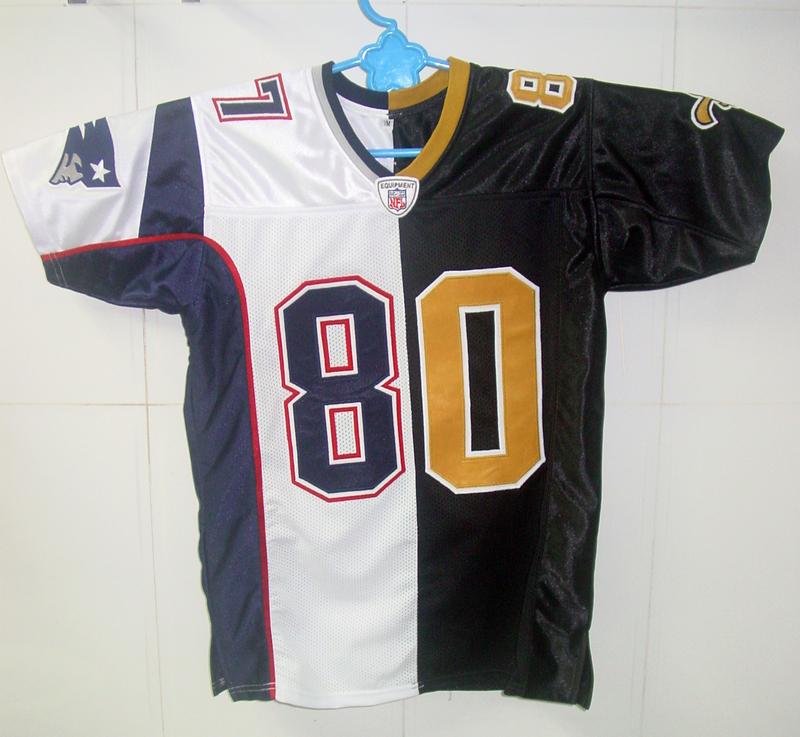 We can provide jerseys from your favorite professional team, High School, College, Custom, pick up or movie jerseys. We also do custom designs with not set up fees or minimum orders with worldwide shipping. We have been providing great service and products to our clients for our 15 years here on the web.